Design : The AC mains powers the input winding which is widely separated physically form the isolated output winding. The input winding normally runs at very moderate Flux linkage levels. The output winding exhibits on intrinsic energy storage characteristic and this energy storage operates in conjunction with mains capacitor to produce self-generated AC flux field which is indirectly excited from the input windings. Result : Instantaneous Voltage regulation. No Transient and Spikes, Sinewave output. A perfect answer and remedy for every electronic equipment. 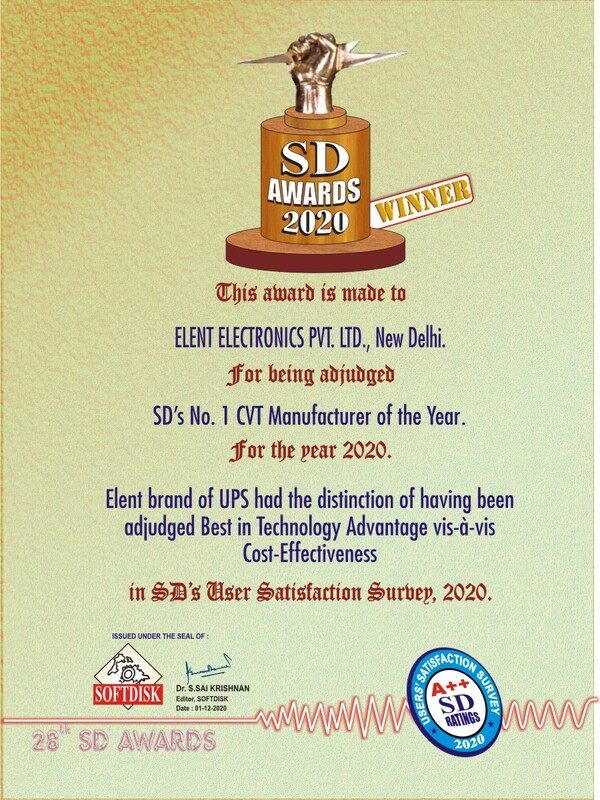 Elent Electronics Pvt. Ltd. can design any of your transformer requirements. Our engineering staff has the experience and capability to design all types of transformers up to 50KVA. Send us an e-mail with your requirements. In order to save time and make your quote as accurately as possible please be specific and include all electrical parameters. In addition, we will source materials at a very competitive price and ensure we obtain the right materials to match your product needs. Any quanity of order is possible - as we have flexibility to modify our production capabilities in line with quantities ordered. Regardless of quanity required we will always be committed to meet your requirements.